Tip Top Foodservice - Gluten Free: Fad or here to stay? Gluten Free: Fad or here to stay? Gluten free diners are on the rise in Australia. Everywhere you look the words ‘Gluten Free’ are being added to packaging and menus. But is it just a sales tactic aimed at capturing the health conscious crowd? Or is it a genuine opportunity for restaurants, cafes and quick service outlets alike? 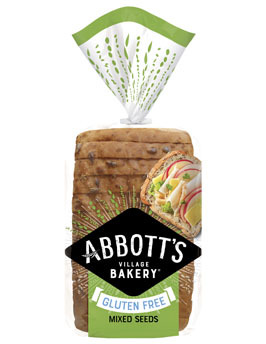 · CSIRO reports that over 12 per cent of Australians don’t eat wheat or gluten. · Coeliac disease, an allergy to gluten that causes damage to the intestine, affects one per cent of Australians. · Coeliac Australia reports that the gluten free consumer is very loyal if they have a good dining experience. · 90 per cent of respondents would be very likely to return to a restaurant where they had a good gluten free experience. · 65 per cent said that the coeliac in the party chooses the restaurant. So, you can see that even though only 1 per cent of Australians are diagnosed with coeliac disease, more than ten times this number follow a gluten free diet by choice. According to American statistics up to 30 per cent of people in the US are trying to reduce their gluten intake too. Gluten-free foods are frequently perceived as a healthier alternative, because of an alignment with a healthy lifestyle. So, should you be considering adding a number of gluten free meals to your menu? 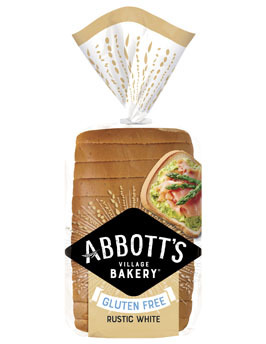 Despite some commentators’ disdain for the trend, gluten free is well past being a ‘fad’ in Australia and any venue that doesn’t sell gluten free alternatives is missing out on valuable revenue. If there is merely one gluten free diner in a group, you could be missing out on an entire group booking by not catering for this one person. But, make sure you do it right. Yes, using the phrase ‘Gluten Free’ on your menu may increase sales and revenue, and it can be considered an effective sales tactic. But you must back it up with genuine gluten free products and processes to take full advantage of the high loyalty amongst gluten free consumers if they have a good dining experience. In a recent Melbourne study almost ten per cent of food sold as ‘gluten free’ at cafes and restaurants in the area actually contained gluten. Don’t be caught out and risk losing consumer loyalty. If you’d like to talk to one of our sales representatives about how you can incorporate gluten free bread into your menu, get in touch here. 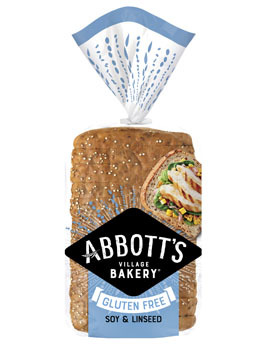 Abbott’s Village Bakery has a gluten free range with three varieties – Rustic White, Soy & Linseed and Mixed Seeds.